What is the SUMMIT CSD Before and After School Program? We focus on preparing youth for the future – in a way that is ENGAGING, INSPIRING, and FUN! 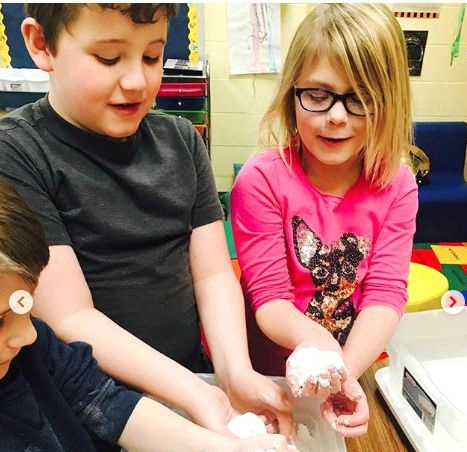 With an emphasis on the core subject areas (science, technology, engineering, math, social studies, art, language arts, and physical education), the CSD program is intentionally structured to develop skills while keeping the kids engaged and learning. What does a typical day look like in the program? When the children arrive, they have several choices. Teachers offer ideas and inspiration, but the children choose how to spend their mornings – they might read a book, create a work of art, invent a product, or explore various subjects by using the many stimulating resources and materials provided. We help nourish their bodies and minds by providing a healthy breakfast. When the school bell is about to ring, children are dismissed to their classes (or ride the bus to school). The children are warmly greeted when they arrive and provided a healthy snack as they gather around the table for an afternoon “update meeting” and conversations with friends. Afterwards, the children have several choices. They can release some energy and run, jump, or play during outdoor time. Inside time allows for organized games and projects (many that focus on STEM areas) and time to tackle those homework assignments! In SUMMIT CSD, children are supported by caring qualified teachers. They make new friends and have opportunities for discovery through hands-on learning! There are planned activities that emphasize the core subject areas – science, technology, engineering, math, social studies, art, language arts, and physical education – and leadership development opportunities, like our program-wide youth council that meets monthly via video conference. Why choose SUMMIT for before and after school programs? SUMMIT Early Learning, Inc. has been providing services to children for 50 years! Our programs are licensed by the Department of Human Services and considered high quality by Keystone STARS. Our policies and procedures prioritize the provision of services in safe, secure, welcoming, and inclusive environments. We utilize a curriculum to help children in this age group grow into confident young adults. Our curriculum also includes bullying prevention, positive behavior support, and social-emotional learning experiences. When planning activities and experiences, our team ensures that the individual needs of each child are taken into consideration. Before School: 6:00 a.m. until school starts. After School: from school dismissal time until 6:00 p.m. Updates to Tuition Scale are in progress. Email ENROLLMENT@SUMMITEL.ORG for current rates. Find our Tuition Policies here. Click HERE for more info on each location’s services and contact information. What is the SUMMIT Summer Camp? The SUMMIT Summer Camp Program is for children completing kindergarten through 6th grades. It is an opportunity for kids to participate in planned group activities and explore individual interests during free time. The summer begins by IGNITING a passion for learning to help children develop into empowered, compassionate, and successful individuals. Next up is finding INSPIRATION to encourage ourselves and others to become our best. Finally, the children’s imagination and creativity are ACTIVATED to help make a difference in their communities. Each day starts with a nutritious breakfast. Field trips are scheduled 2-3 days per week (with at least one day of swimming). When the weather cooperates, the children participate in a planned outdoor activity and may choose from a variety of options, based on their individual preferences. Then the group departs for their adventure of the day. Or if they are staying on site, they will take part in activities that focus on the curriculum topics. Lunchtime precedes the afternoon activity/event and usually a STEM-based Makerspace experience. What will my child experience at Summer Camp? 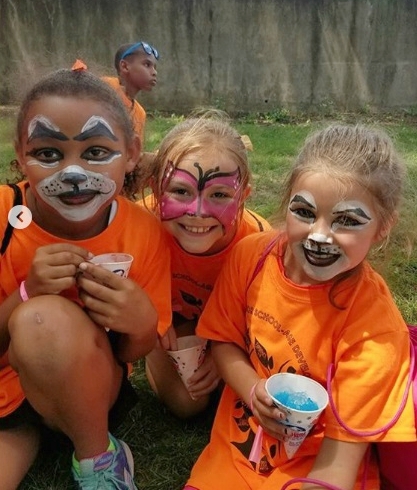 The SUMMIT Summer Camp offers children opportunities have lots of FUN while they build friendships, develop new hobbies and interests, learn new skills, experience new places, and enhance their confidence and independence! Camps are open from 6 a.m. to 6 p.m. Monday through Friday. A calendar of Summer Camp Dates that includes events and field trips is provided to parents upon enrollment. Find out what’s in store for Summer Camp 2019 and some important need-to-know info in this Informational Newsletter.